If you find a set of stylish dishes at a flea market, but there aren't enough place settings, scoop them up and use the set as art for your walls. 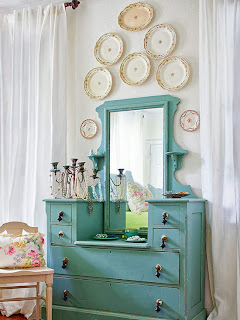 Buy plate hanging hardware from a crafts or hobby store. Plan out your arrangement before you start hanging. Click the links below to see how to create the perfect wall arrangement and how to create a gallery wall. Typography is right on trend and all the rage right now! 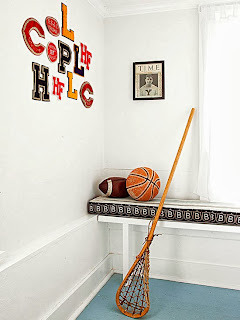 Arrange collegiate letters and letterman jacket patches in a group as wall art for a sports-themed bedroom or den. 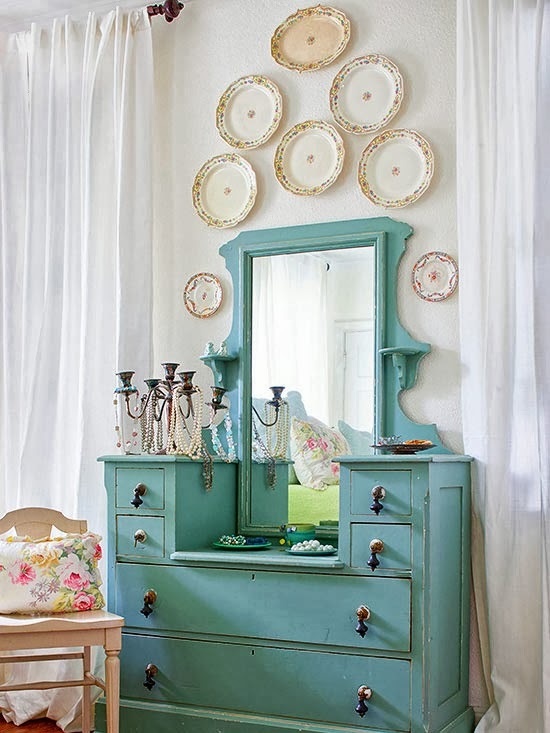 Rather than incorporating vintage clothing into your wardrobe, add it to your decor. This framed vintage swimming suit is a perfect lighthearted touch to this red breadboard and white room. Flea markets and secondhand shops are rife with vintage artwork. If the art isn't your style, but the frame is calling your name and the price is right, scoop up the piece and start collecting other frames for the ultimate ensemble. Once you have the perfect mix, hang the frames as is, or unify the display by painting all the frames the same color. 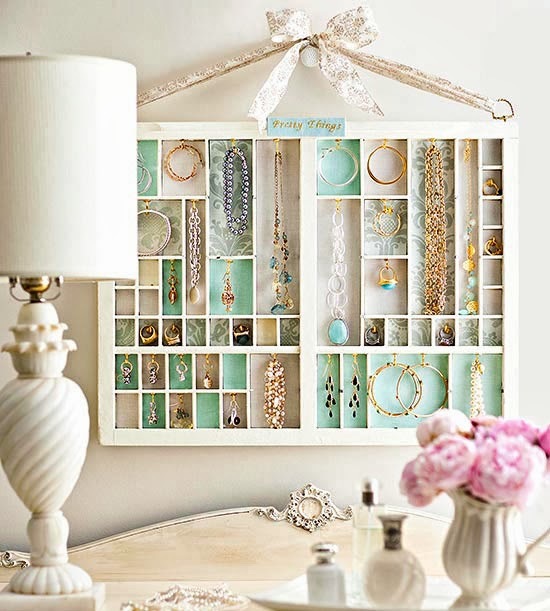 Turn a vintage printer's tray into storage for your favorite jewelry and art for your bedroom walls. 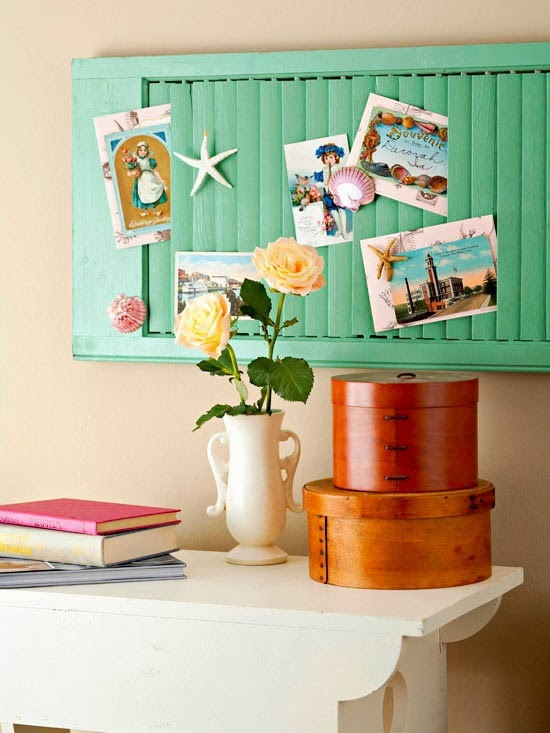 Paint the case to match your decor and line the cubbies with pretty papers. Screw brass hooks from a hardware store into each compartment. 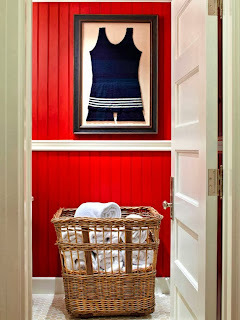 To a make room for necklaces and bracelets, use a hammer to remove a few slats. 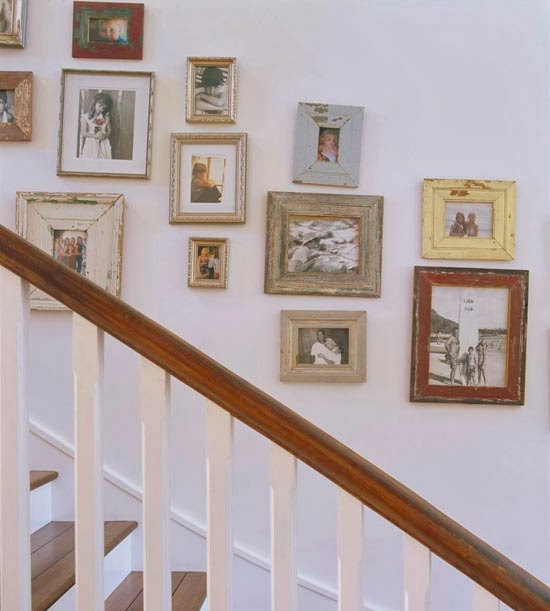 Turn a blank stairway wall into a display of treasured family photos. Print the pictures in sepia or black and white to give the photo an older feel. 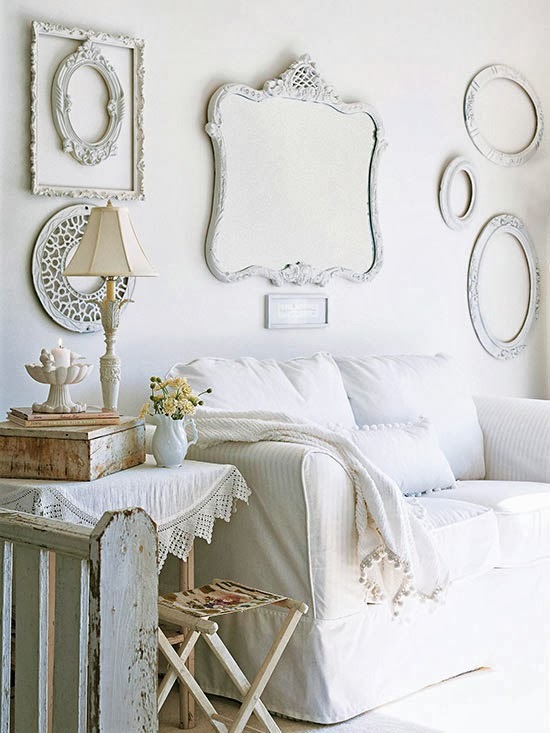 Use a variety of image sizes and display inside weathered or antiqued frames. Create a simple wall display by grouping vintage copper pieces together. 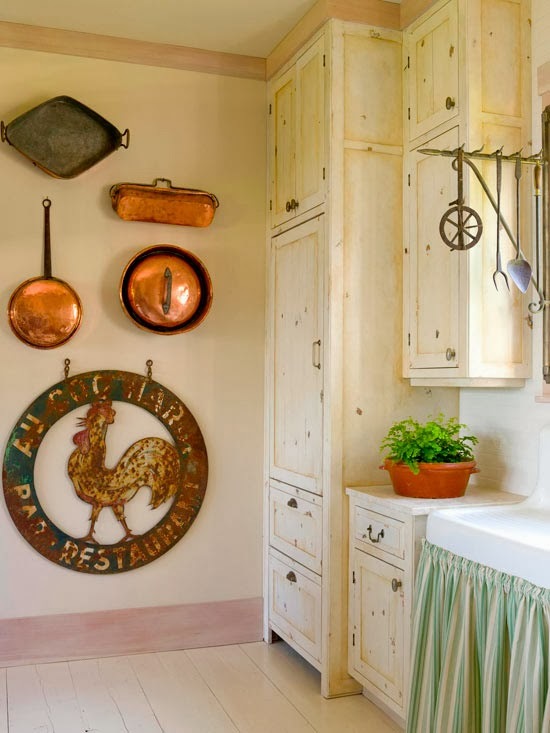 Mix the copper pieces with distressed off-white cabinets for vintage country charm. Create a beautiful kitchen wall art display with colors that pop. 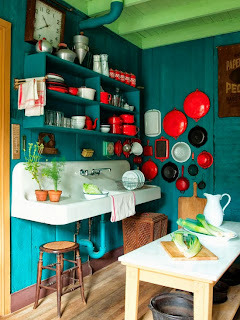 Old enamelware is elevated to artistic status when grouped together along a wall in a cottage kitchen. A large vintage sign is the perfect way to add personality with an accent color. This circular sign's bright red color stands out against the stark white kitchen. 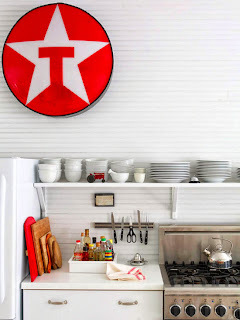 Smaller items, such as a small red tractor and cutting board, pick up the accent color. 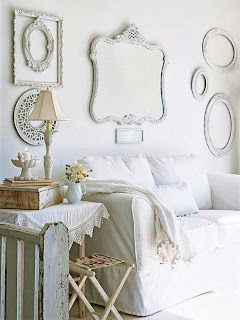 Cottage style and old shutters are naturals together. 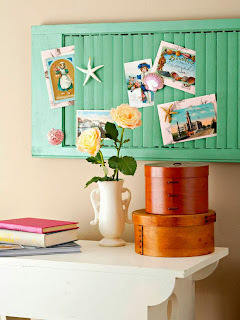 Try hanging shutters horizontally to display photographs, postcards, letters, and clippings. If years of paint and weathering prevent your louvers from closing tightly enough to hold the papers, use a small piece of double-stick tape to keep items in place.